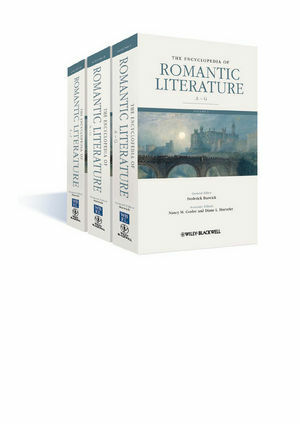 The Encyclopedia of Romantic Literature is an authoritative three-volume reference work that covers British artistic, literary, and intellectual movements between 1780 and 1830, within the context of European, transatlantic and colonial historical and cultural interaction. Frederick Burwick, Professor Emeritus at UCLA, has taught courses on Romantic drama and directed student performances of a dozen plays. He is the author or editor of 26 books including The Theatre Journal of John Waldie (2008) and Romantic Drama: Acting and Reacting (2009). 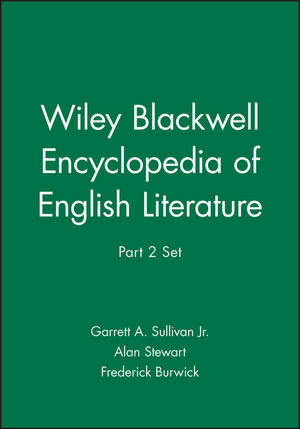 Burwick has been named Distinguished Scholar by both the British Academy (1992) and the Keats-Shelley Association (1998). Nancy Moore Goslee, Professor of English and Distinguished Humanities Professor Emerita at the University of Tennessee, has published in three broad areas: inter-arts comparisons, Scott's poetry and the cross-cultural links between Scottish and English Romanticism, and feminist-inflected criticism of Romantic poets. Her books include Shelley’s Visual Imagination (2011), Scott the Rhymer (1988), and Uriel's Eye: Miltonic Stationing and Statuary in Romantic Epic (1985). Diane Long Hoeveler, Professor of English at Marquette University, Milwaukee, Wisconsin, has published in the areas of the gothic and religious transformations, romanticism and gender, and women writers in the nineteenth century. She is author of Gothic Riffs: Secularizing the Uncanny in the European Imaginary, 1780–1820 (2010), Gothic Feminism (1998), and Romantic Androgyny (1990).